This is the first time ever, I made this curry. Actually I created this recipe with throwing ingredients together after rummaging my brain and pantry to make something out of nothing. 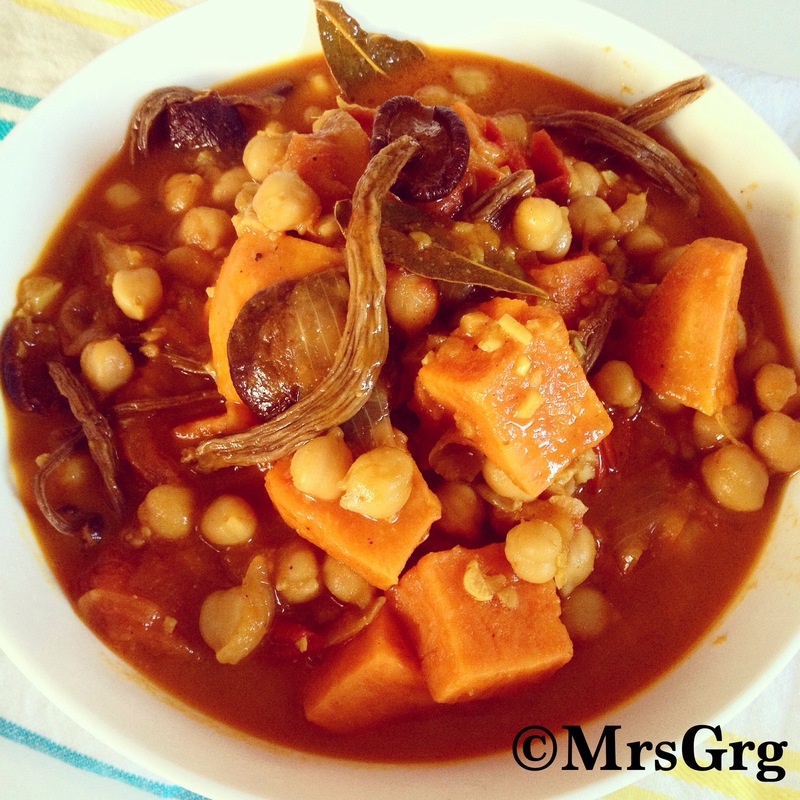 I wasn’t too sure about the combination of sweet potato, chickpeas and mushroom but the result astounded me. It turned out fantastic. I was ecstatic. My hubby always says that I prepare best and exquisite meals when I put together whatever is available in the fridge and pantry. I guess, I just love the challenge of preparing a meal that everyone will love with limited resources. I should document these crisis creations as I face these situation more often than I would like being a busy mom. 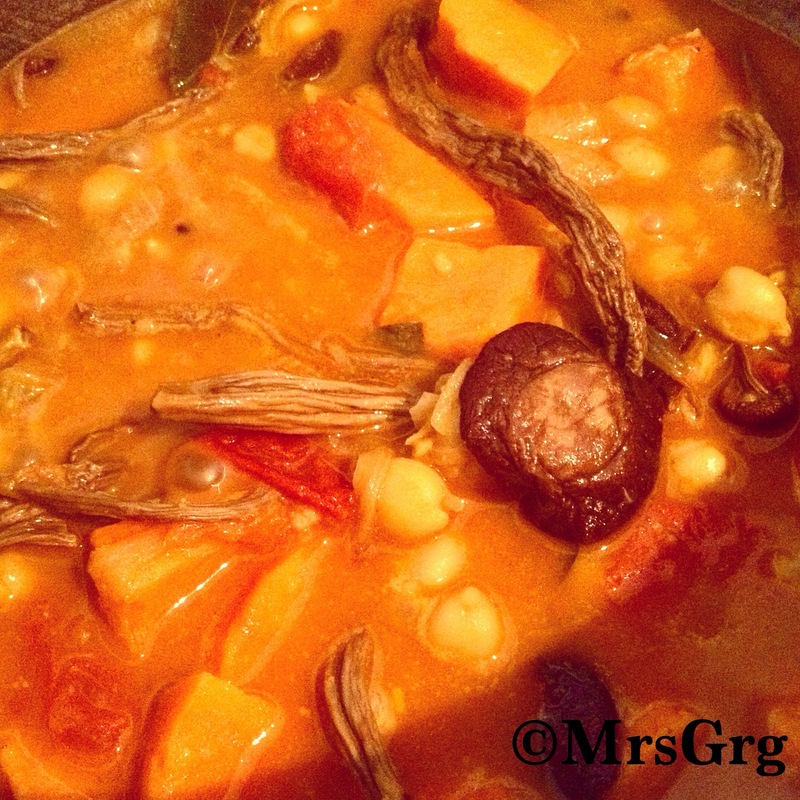 This curry is full of flavour. It has a big hit of chilli, thick and rich gravy, balance of spice, earthiness, sweetness and also packed a punch with hint of lemon juice. In a pan, heat oil and add cinnamon, cloves and cardamom and toss it for few seconds to release its aroma. 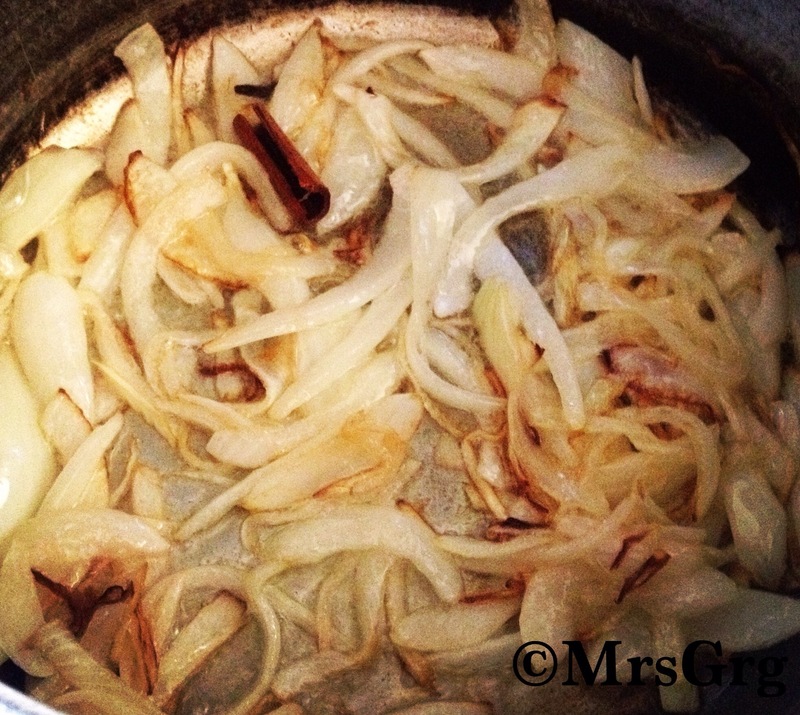 Fry onion until golden brown on a medium heat. 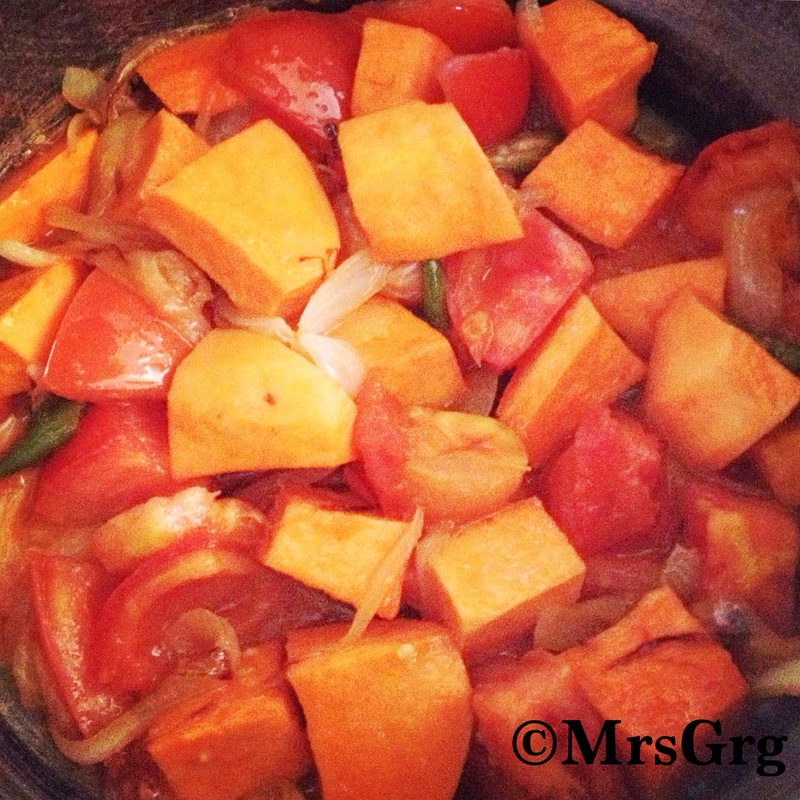 Add chillies, tomatoes and cubed sweet potatoes cook it for 5 minutes until tomato and potato softens. 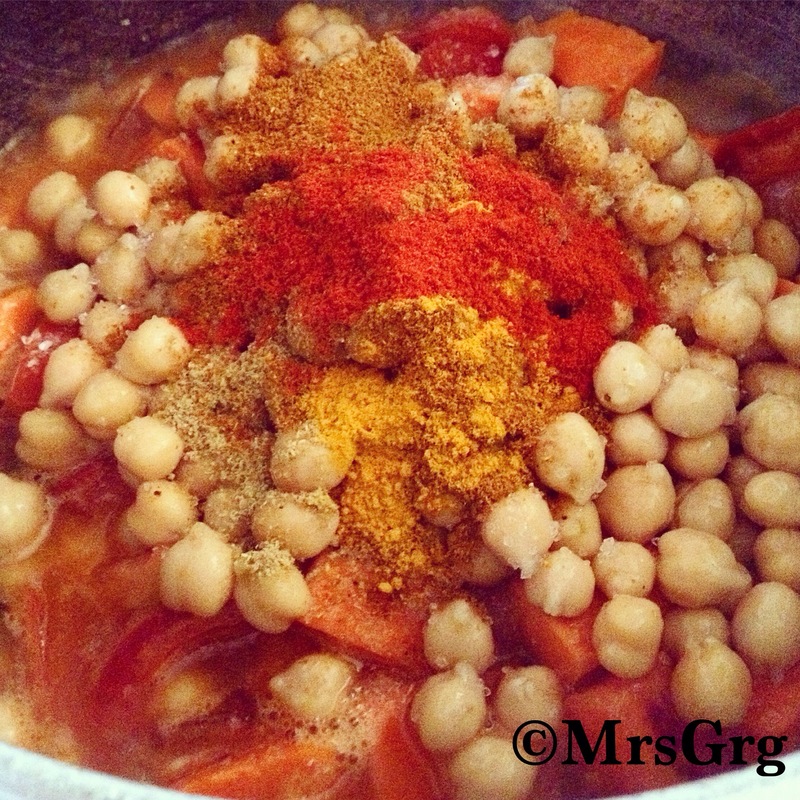 Add chickpeas and all dry spices (cumin, turmeric, coriander, curry powder, garam masala powder, chilli powder) and salt and cook it for few minutes to cook rawness of the spices. Add bay leaves and add liquid. Cover the pot with a lid and cook it for 5 minutes until the liquid comes to boil. 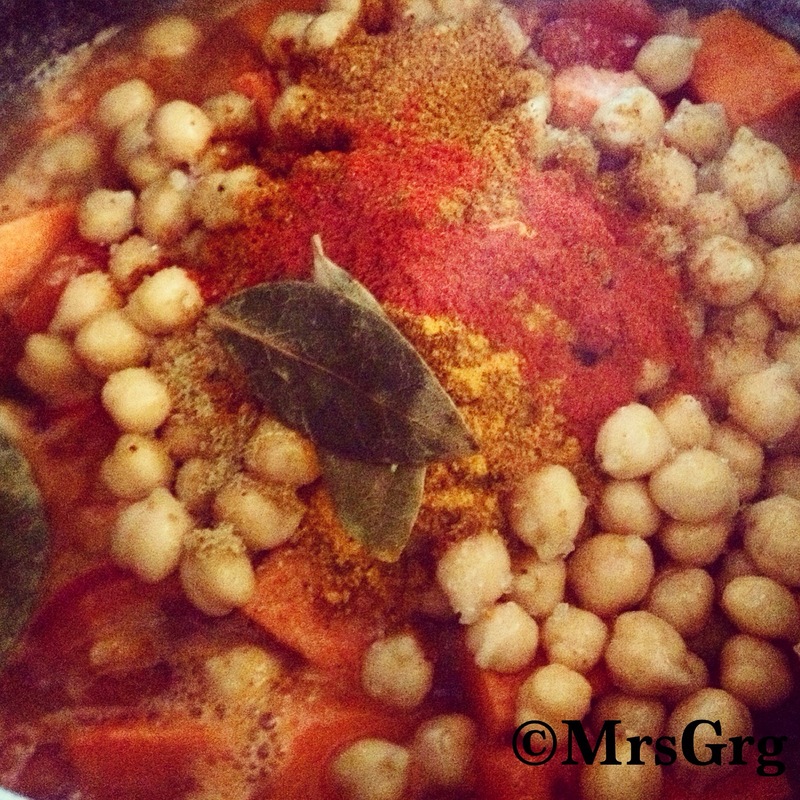 Add tea-tree mushroom and cook it in a gentle simmer for 15 minutes until the gravy thickens and chickpeas and potatoes are soft. Add lemon juice and stir it. Serve it with bowl of rice or rotis. Enjoy. 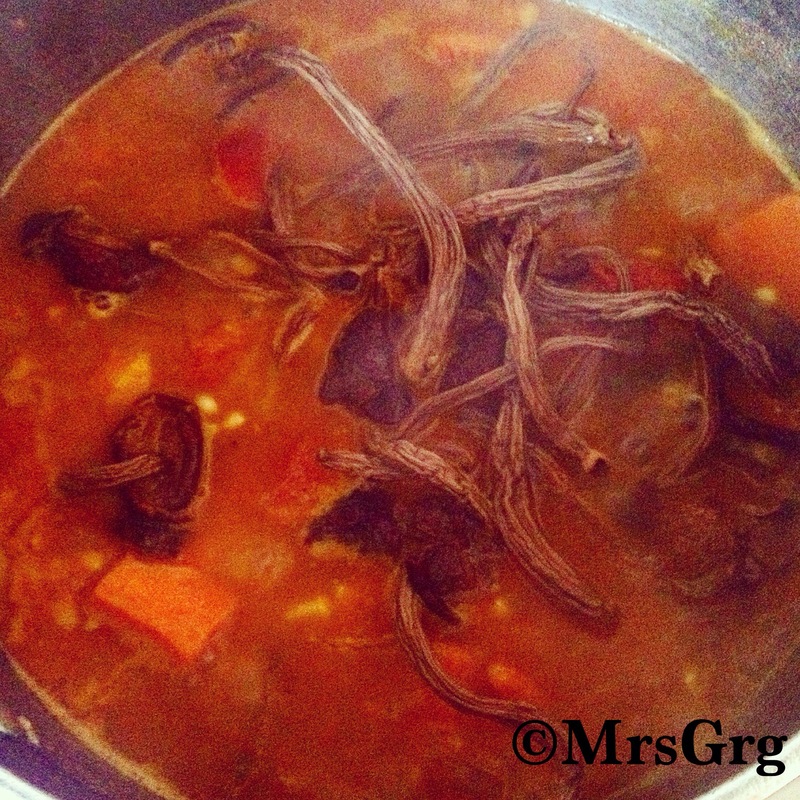 Note: For non vegetarians, substitute water with chicken or beef stock and add a chicken stock cube to make it meatier.